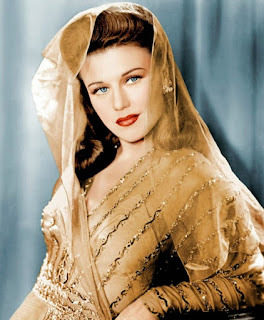 Ginger Rogers was born Virginia Katherine McMath on July 16, 1911, in Independence, Missouri. Her parents divorced when she was a child and her mother Lela encouraged her to go into show business. Ginger started dancing professionally when she was a teenager. At the age of seventeen she married Jack Pepper, an actor, but they divorced two years later. After appearing in several Broadway shows Ginger began getting small roles in films. In 1933 she was paired with dancer Fred Astaire in the musical Flying Down To Rio. Ginger and Fred would make nine more movies together including The Gay Divorcee and Swing Time. They quickly became one of Hollywood's most popular screen teams. Ginger was a devout Christian Scientist who never smoked or drank alcohol. She enjoyed romances with Cary Grant and Howard Hughes. In 1934 she married actor Lew Ayres. Ginger won an Academy Award for her performance in the 1940 drama Kitty Foyle. Her success continued with hit movies like The Major And The Minor, Heartbeat, and Roxie Hart. 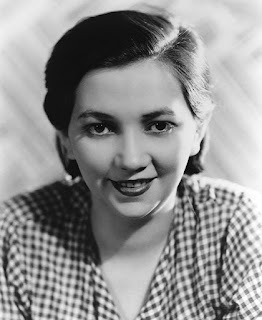 By 1942 she was the highest paid actress in Hollywood. She divorced Lew and married Jack Briggs, a marine, in 1943. They were married for six years. After a brief marriage to actor Jacques Bergerac she married producer William Marshall in 1961. Ginger's last film was the 1965 drama Harlow, which was based on the life of Jean Harlow. She continued to work on the stage and made occasional guest appearances on television. Sadly her marriage to William ended after eight years. Ginger, who never had children, was devastated when her beloved mother Lela died in 1977. During her later years she suffered from diabetes and was confined to a wheelchair. In 1991 she published her autobiography Ginger: My Story. She died on April 25, 1995 from heart failure. Ginger was cremated and buried with her mother at Oakwood Memorial Park in Chatsworth, California.